Potential clients often ask what we do at David Castain & Associates; it’s tempting to say that we transform the world’s greatest and most promising companies into even greater and more promising companies. While our mission is to turn visions into reality and make business flourish, the buck doesn’t stop there. 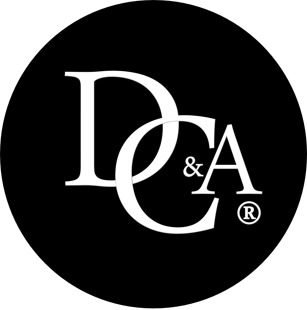 DC & A provides professional, ethical and experienced consulting. We create solutions by developing unique plans that address all of the problems involved in the growth: strategy, marketing, pricing, innovation, product development, organization, leadership, and economic competitiveness of our clients. Our services are optimal, confidential, trustworthy and honest. Our brand is noted for the unorthodox and highly customized recommendations in achieving client objectives. We ask clients where they want to go, and act as their vehicle in route to their destination. We then make sure they get there and ensure that they can sustain that momentum into their future. Our goal is to leave every organization stronger than ever. With an ever changing economy, we need ever changing and developing ideas. A traditional way of doing business falls short of the rapidly changing pace of social development. We are able to monitor these social changes, research the trends, and create a product that meets both the social and business expectations.